SOUTHFIELD – From immersive virtual reality (VR) caves to head-mounted devices (HMDs) to augmented reality (AR) headsets and more, a program at Lawrence Technological University will give attendees a chance to learn about these new tools in a relaxed environment and discover the positive impact they may have on the way business gets done. 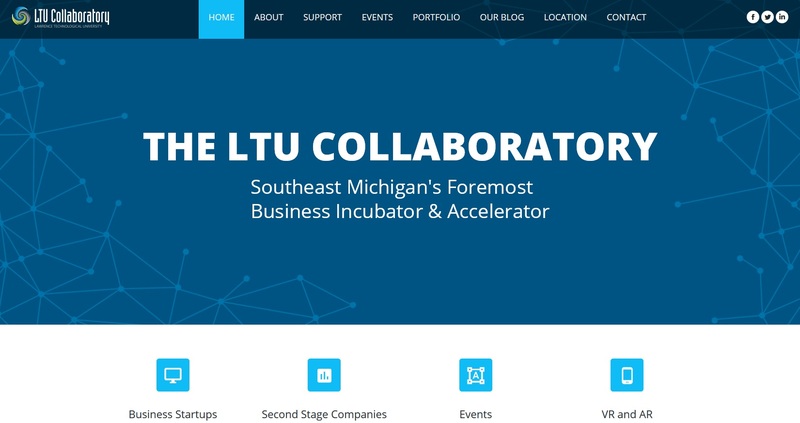 Join the LTU Collaboratory on Thursday, Sept. 7 for a symposium from 8 a.m. to noon in the UTLC Gallery on the LTU campus, 21000 W. 10 Mile Road, Southfield, for a hands-on demonstrations of the DAQRI Smart Helmet, the Microsoft Hololens, the HTC Vive, the Oculus Rift, and a demonstration of immersive cave technology. Registration is $15 if booked online at www.ltucollaboratory.com/events/ar-vr-ir-oh-my, or $20 at the door. A continental breakfast is included. The event is sponsored by the LTU Collaboratory in partnership with the City of Southfield Centrepolis SmartZone and the Michigan Economic Development Corp.
For more information on how the LTU Collaboratory can help your company innovate and grow, visit www.ltucollaboratory.com.